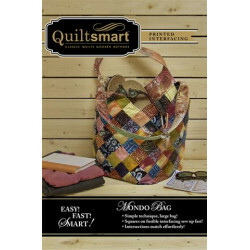 This pack contains instructions and a Quiltsmart printed interfacing panel to make 2 Bitty Bags. 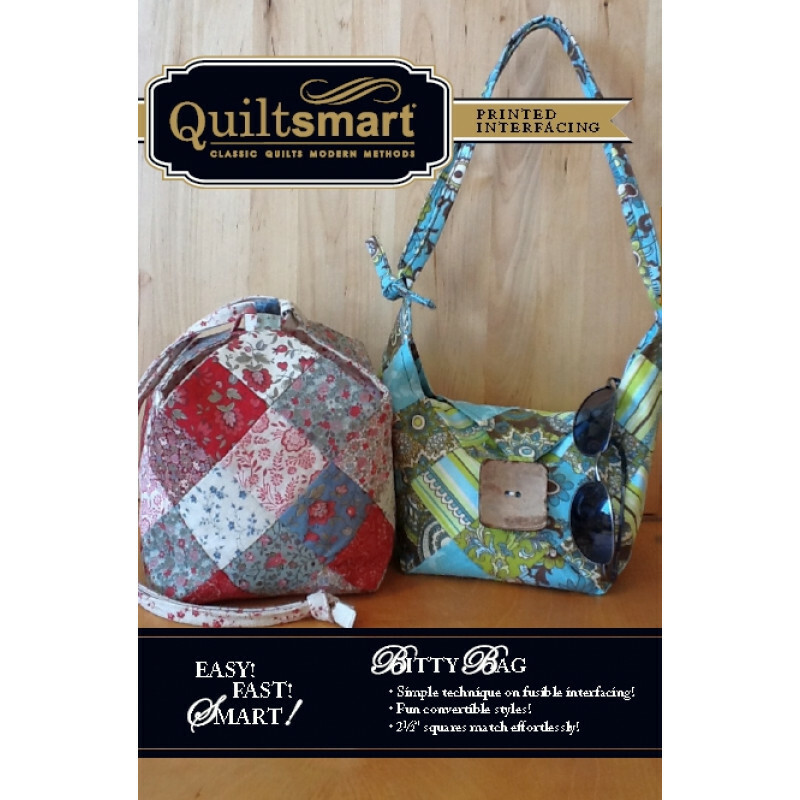 Perfectly-matched seams, easy construction, great little accessory bag using Quiltsmart grid interfacing technique. Perfect for Charm Packs and 2.5" strips and squares! Bag bottom is about 5.5" square with 9" tall sides. FIRST TIME USERS - Purchase the "Pack" first which includes instructions and interfacing! Panels are available separately for more bags. 1 panel makes 1 bag. 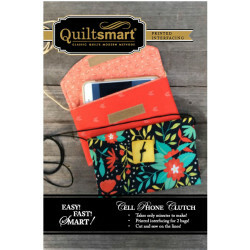 This ADORABLE self-lined cell phone clutch is great! 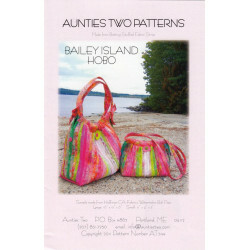 It sews up so fast, and has pockets that magica..
Did I hear you say "If only I had room in my bag for one more thing..."? 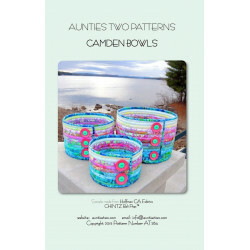 This pack contai..
Camden Bowls by Aunties Two Patterns - Pattern Only - Jelly Roll Strip Batting TotesBeautiful zigzag..